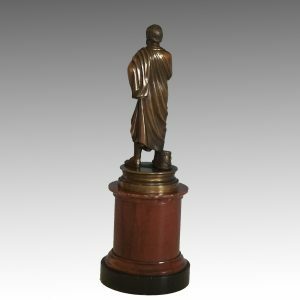 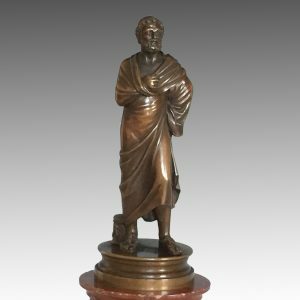 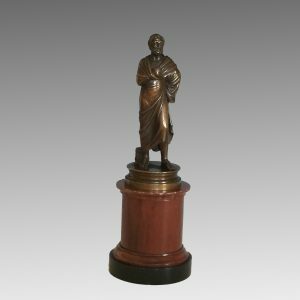 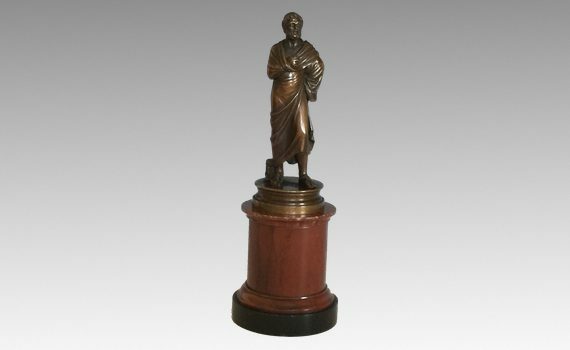 After the Antique marble in Rome, a small late 19th century finely cast bronze figure of Sophocles. 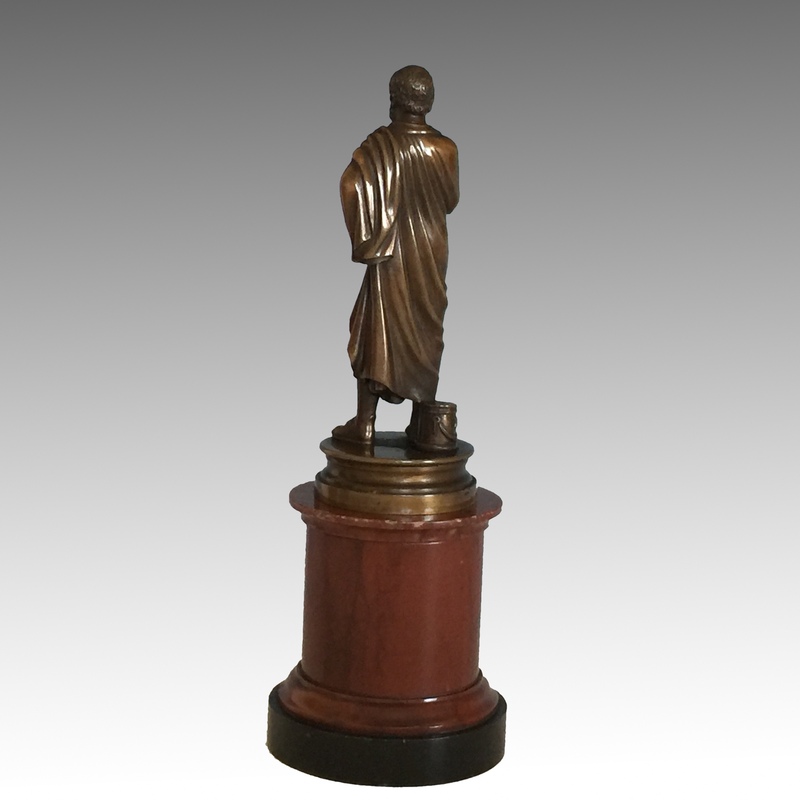 Standing on a circular base with stepped rouge marble column. 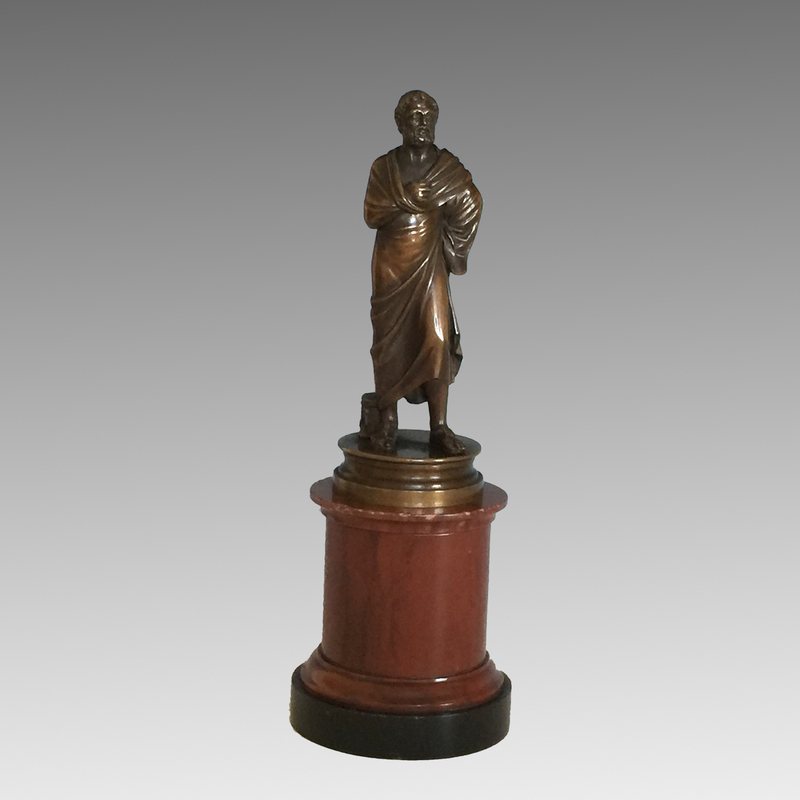 Brown patination.